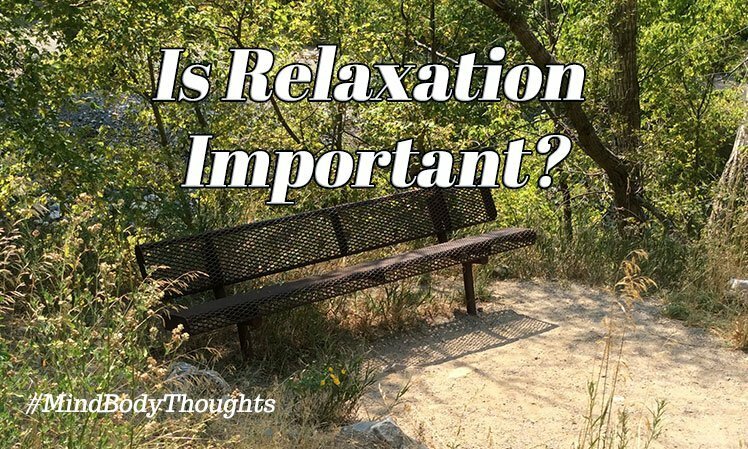 Is Relaxation Important To You? We get so busy and have so many things to do that we fail to stop and smell the roses as the old saying goes. Relaxation is key for our survival, but we often treat it as an afterthought. Do we truly give relaxation enough value in life? I’m not talking about taking the once a year vacation where you spend a few moments a day off of your phone enjoying life. Neither am I talking about where you go out and have a beer with the coworkers and friends on a Friday night. I’m not referring to that moment on a weekend where you take a much-needed nap. While all these things can help us enjoy life, relaxation is much more than that. Unfortunately, if you are like so many humans living here, it is something you think about when you’re forced to, not when you need to think about it. It happens when we face health issues or are confronted with moments that bring us to what truly matters. If relaxation is important to you, then you’ll make the time for it. You will see the importance of it. It will no longer become something you put off or only attempt to enjoy whenever it is convenient. Relaxation will just become a way of life for you. It will be part of your makeup, and no one will be able to distract you from it. Relaxation comes in many forms, but the key to it is that it needs to be practiced every day. It isn’t a one-time thing that lasts all year long or all week long. As hard as we push our lives and our days, we need to give ourselves enough time to relax and wind down. We can try to burn the candle at both ends of the stick, but I know from experience how that ends. It is not a pretty sight! If we think we are too busy for relaxation, what if you broke it down into small bite-sized pieces in your day. Take five minutes when you wake up to just spend time with your thoughts greeting the new day. Take a few minutes to just sit there in the stillness of the morning and focus on the things around you. Observe your breathing and feel what it means to just be in this moment you have. At lunchtime, take a few minutes to walk outside in the sunshine. Notice what you observe. Take your mind out of your work and busy day. If you can be around in nature, enjoy and observe it for a few moments. In the evening when you get home, turn the phone off and just enjoy those that you love. Reflect upon your day. Focus on your breathing for a few minutes. All of these things will help relaxation become more important to you. They are simple and easy to do, but if it is important, we have to make the time for it. It will pay off dividends and rewards with your health and productivity if you only give it a chance.